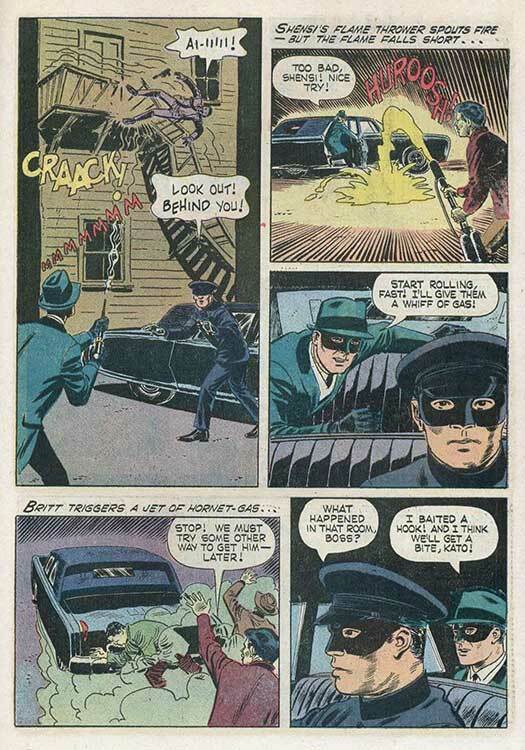 Kato is attacked defending Ah Wong, the uncle of his girlfriend Peggy Lou, from muggers. 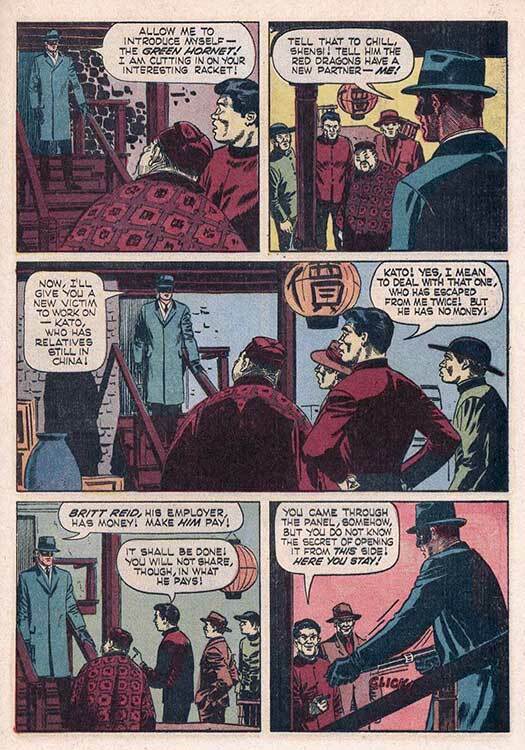 Brit Reid arrives at the hospital to pick up Kato and overhears a discussion between the recovering Ah Wong and his son Jimmy involving "Red Dragons"! 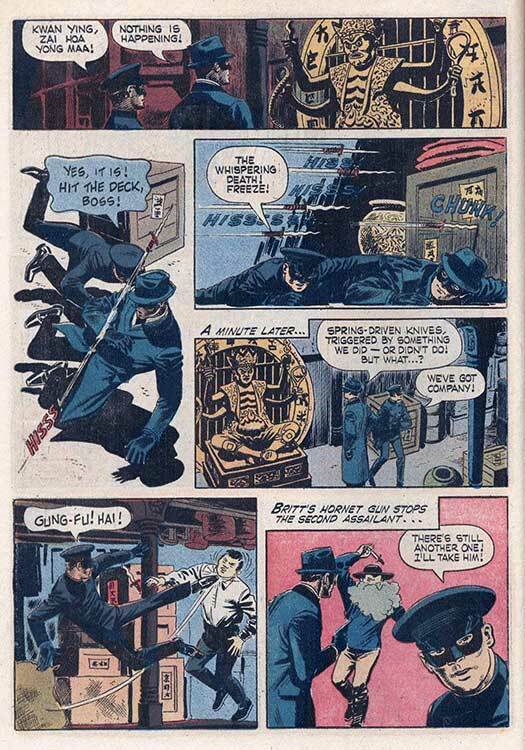 Leaving the hospital, Britt and Kato barely survive being pot-shot by one of Ah Wong's attackers! 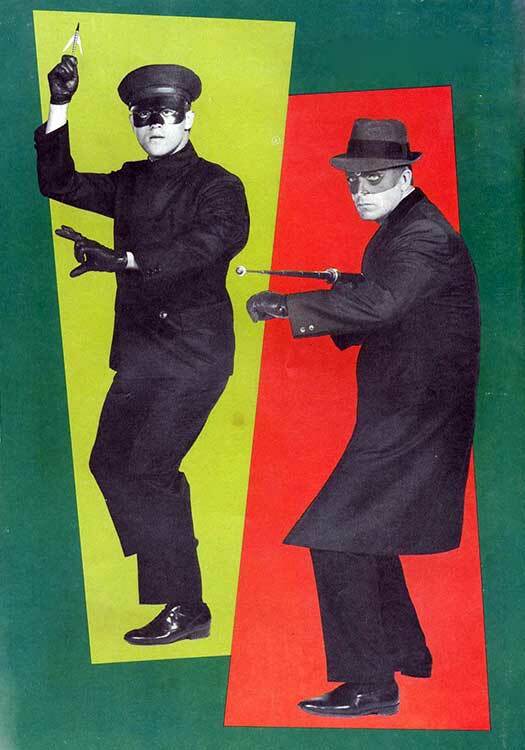 Will The Green Hornet and Kato get a bite or be bitten? Who is Chill, leader of the Red Dragons? 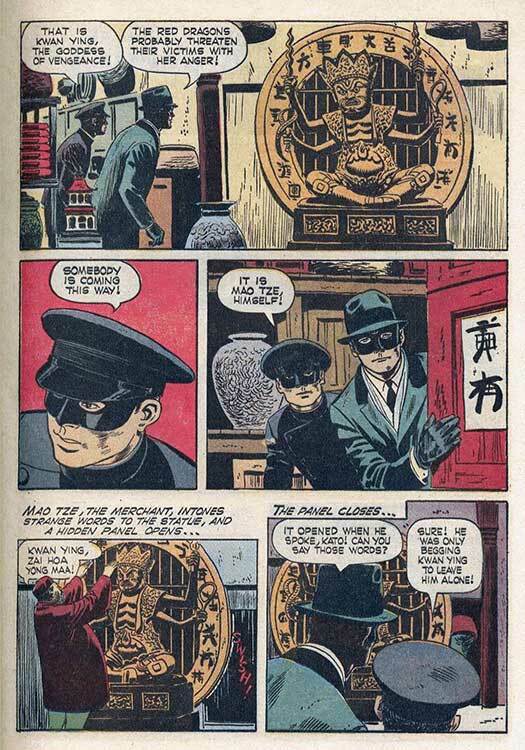 Is Kato, in fact, Chinese? 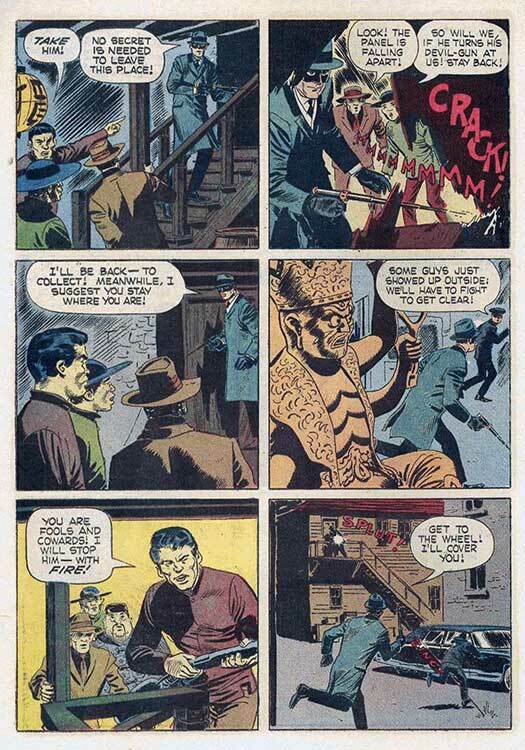 It's possible writer Paul S Newman and artist Dan Speigle saw the Tong-themed episode "The Preying Mantis" which aired Nov 18, 1966, but it's unlikely they did so before they created this issue! 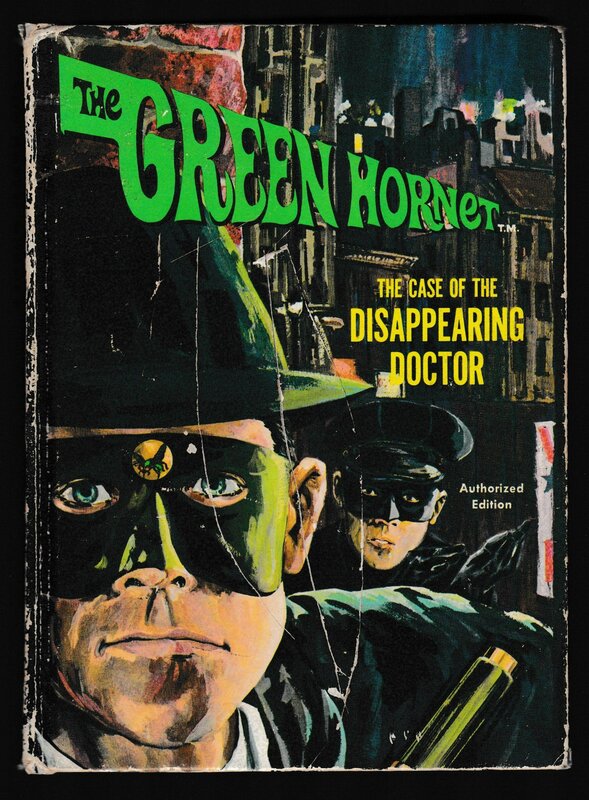 Gold Key's Green Hornet #2 is dated May, 1967, which means it was probably on comics racks in February, 1967. Allowing for the usual 3-4 month production cycle from plot/script to printed book, the episode would've aired after the script was being penciled! 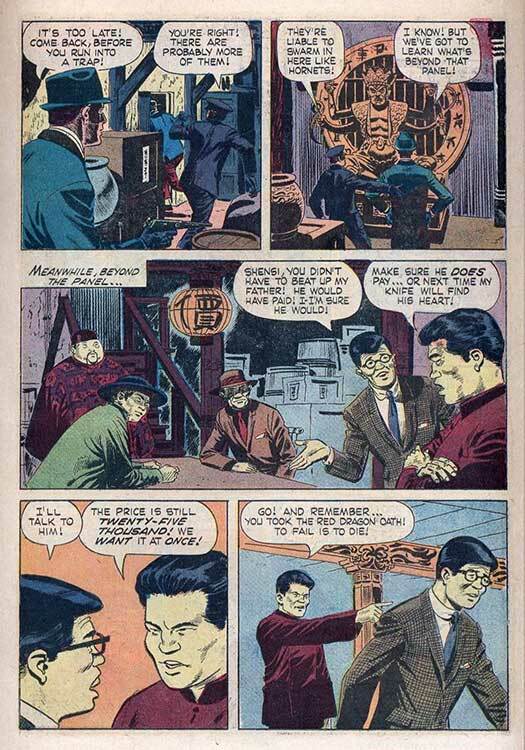 As to why all the Asian characters except Kato are pale yellow instead of either Caucasian or suntanned skin tones, well, that, unfortunately was one of the standard coloring tropes of the 1940s-1960s period to denote Chinese or Japanese characters. Kato has "standard" Caucasian coloring with some additional yellow. 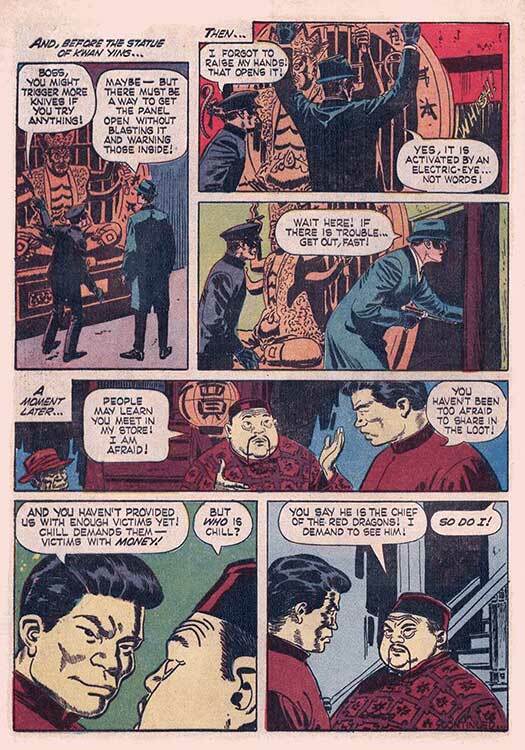 In the 1970s, when Marvel did Master of Kung Fu, the hero, Shang-Chi, had standard Caucasian coloring with some additional magenta, making him an almost Donald Trump-esque orange!